Families can enjoy crabbing and seashore scavenging at a free day of activities in the New Forest this Easter. Children, parents and grandparents are invited to Wild Play Day at the Beach to discover fun ways to explore, play and be creative in the great outdoors. The free event organised by the New Forest National Park Authority and the Hampshire and Isle of Wight Wildlife Trust aims to help families enjoy nature instead of being glued to their tablets and televisions. The play day will run from 10am to 2pm on 9 April at Hurst Spit near Keyhaven. No booking is required, but there are charges for parking at the Hurst Road East car park in Milford-on-Sea. 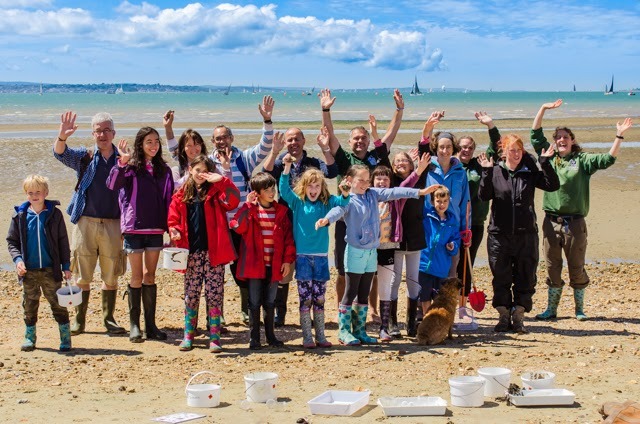 Helen Robinson, education officer at the National Park Authority, said: ‘The most memorable experiences for families are usually the simplest activities like seashore scavenging or making beach art. Dawn Morgan, from the Wildlife Trust, said: ‘One of our key aims is to engage people of all ages with nature. Spending time outdoors with your children or grandchildren is not only good for health and fitness but also may spark a passion in them for the outdoors and conservation.